Killed in Action Cyprus 30th May 1956, Aged 19. Plot 20, Row C Grave 8. 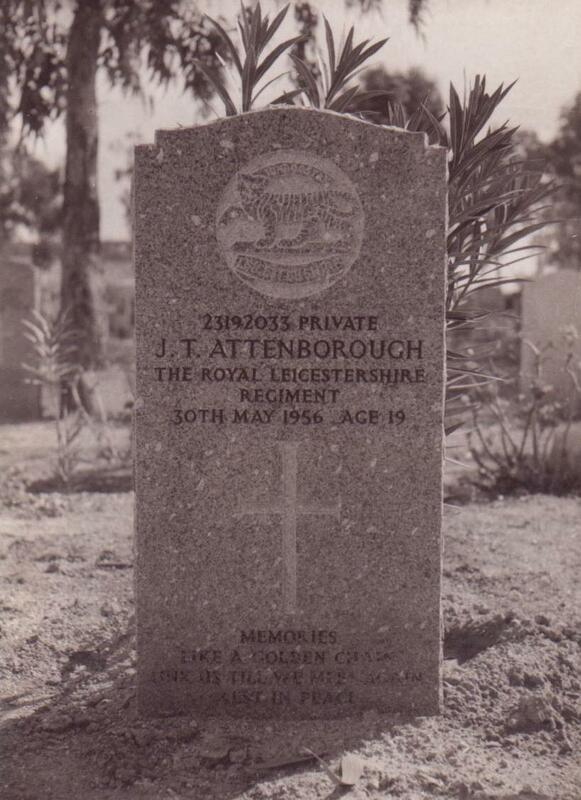 Pte John T. Attebborough is one of the 371 British Servicemen who died on active service during the four-year Cyprus Emergency April 1 1955 to April 18 1959, and whose name is among those remembered with honour on the British Cyprus Memorial. 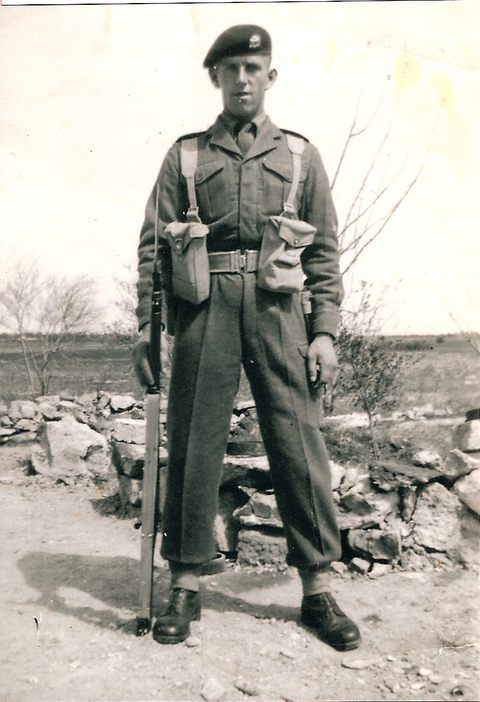 Serving with the Royal Leicestershire Regiment he was killed when a grenade exploded in his vehicle as he was driving through the Varosha district of Famagusta, and claiming the lives of the two others with him. He was travelling back from a rehearsal of the Queens Birthday Parade when his vehicle was ambushed. 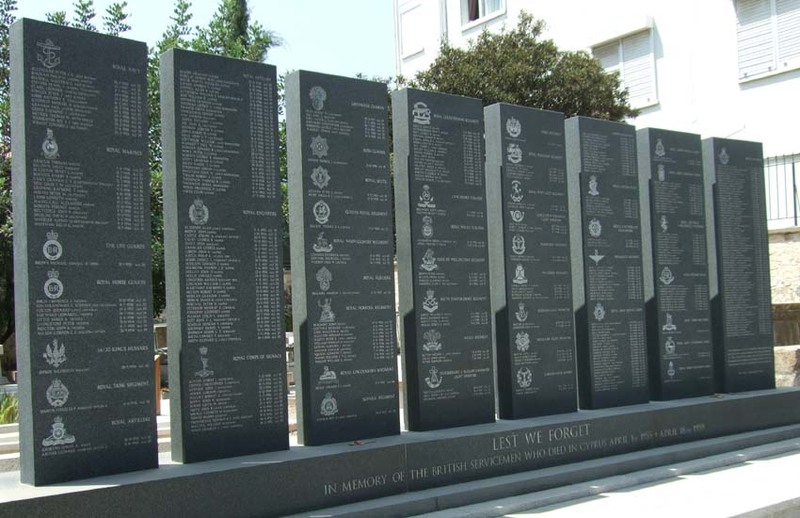 The EOKA conflict in Cyprus is certainly one of Britain's "forgotten wars". It lasted between April 1, 1955 and officially ended on December 24, 1959. At its height, more than 30,000 British troops were assigned to combat EOKA, the Greek Cypriot terrorist organization commanded by Colonel George Grivas of the Greek Army and funded by the Orthodox Church led by Archbishop Makarios.